Description: Beretta A300 Field 12g 28" New Shotgun SN: RU042288 Born of decades of technological advancement in the field of semi-auto shotguns, the new A300 is guaranteed to perform. Made in U.S.A! We wish to be competitive with our pricing AND provide exemplary service. We understand that there are many discounters out there, you may be able to buy your gun for a little less, sometimes buying from the guy with the lowest price means you "get what you pay for" when it comes to service after the sale. Buy your next shotgun from us if you are interested in the best possible service. Cole Gunsmithing is a factory authorized service center for Beretta, Perazzi, and Zoli shotguns- we know Italian shotguns. Let us earn your business by using the knowledge we have gained over the past 35 years. When you buy your shotgun from us you automatically receive a bundle of perks you won't receive from any other gun dealer in the country. 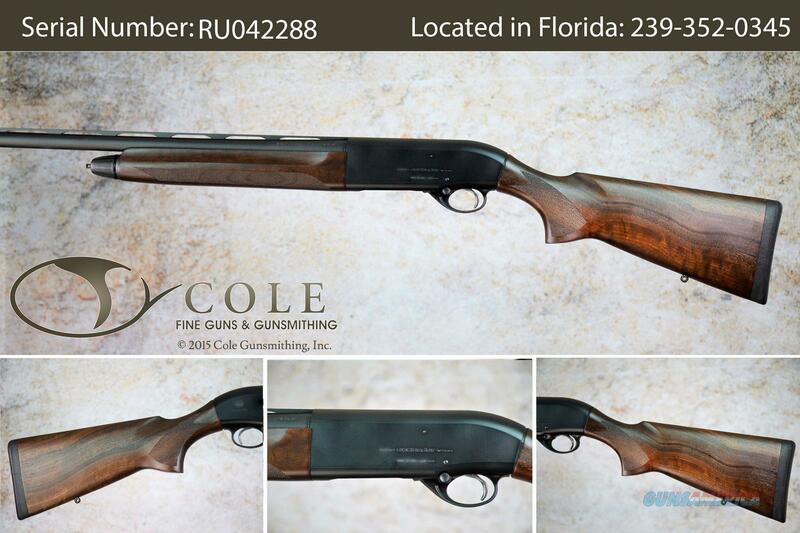 This shotgun is located in our Florida store. Please call for more information. Federal firearms laws do not allow us to ship firearms directly to you. Please contact us for ordering and shipping information.